Educate, Collaborate and Celebrate everything Winter! The purpose of the Winter Camping Symposium is to educate, collaborate and celebrate everything Winter! Winter campers and enthusiasts from around the region come together to share ideas and show off new creations which aid in the adventures of winter outdoor activities. From cold camping to hot camping, from kite sailing to building your own stove, from arctic adventures to sleeping in a quinzee in the backyard, from gear swaps to a chili feed, this event covers it all! Join us for a long weekend of camaraderie and exploration! Jay Arrowsmith DeCoux is the owner of Fireweed Bike Cooperative in Grand Marais, a former wilderness guide, and the mayor of Grand Marais, MN. He is interested in as many ways as possible to get out into the wilder places such as trailrunning, fat bike hunting, and winter camping via fatbike. 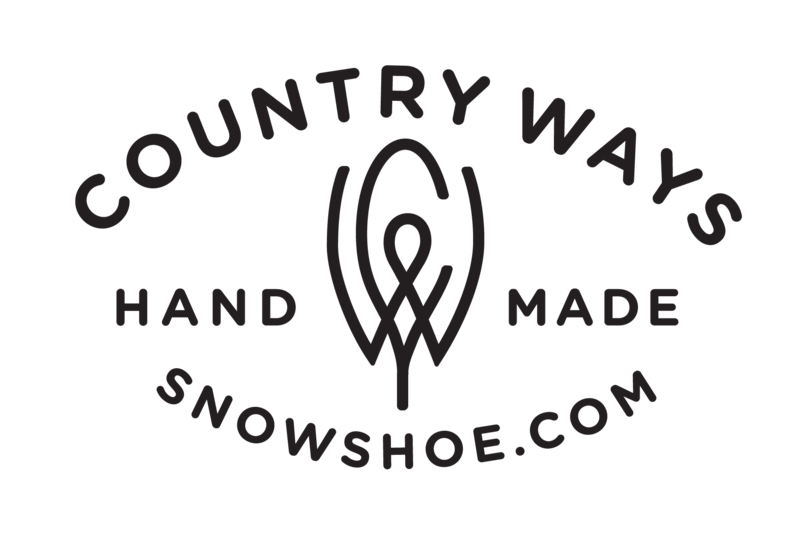 Greg Wilcox is the co-founder of Country Ways and for the past twenty-five years has brought us the very best in showshoe kits and finished outdoor equipment. Greg will be teaching a seminar on snowshoe lacing and repair. Donnie has been tracking wildlife for over ten years now and holds a Level III Certification in Wildlife Track and Sign through CyberTracker Conservation, an international organization that evaluates trackers over two days in the field. He is also a member and one of the lead instructors for the Minnesota Wildlife Tracking Project that provides tracker training workshops and help coordinate wildlife surveys using track and sign to identify animals in an area for various agencies and organizations. Glen Hooper lives in Thunder Bay, northwestern Ontario, at the southern edge of the Boreal Forest, where he currently works as a professional wildlife biologist, primarily in forest management. Glen grew up never having camped overnight winter, but he had always enjoyed winter day-trips of snowshoeing and skiing, and “boil-ups” for hot drinks before heading home at the end of the day to all the modern comforts of home back in the city. One winter, sometime in middle age, a buddy who was a winter camper invited him out on a 2-night winter camp trip, cold camp style with open fire. This was a big deal - how to stay warm, dry and comfortable? That trip turned out great, and from that moment on Glen was hooked on winter camping. Glen, (now edging into old age! ), has been winter camping ever since using both cold camp open fire style, and hot tent style. He runs Wintertrekking.com And has a YouTube Channel "Wintertrekker"
Bryce guided teenage canoe trips for a number of years at Laketrails in Lake of the Woods. He now enjoys winter camping by snowkiting across frozen lakes with friends and hot tenting along the way. Kate is a Colorado native who first experienced winter camping when she moved to Minnesota six years ago. Since then she's learned what winter is all about with camping, snowkiting and generally getting outside. Kelly guided wilderness canoeing and winter camping trips for several seasons with the Northern Tier Boy Scout Base. A few years ago he and some friends completed a 70-mile, 19-day snowshoe and toboggan trip across the Boundary Waters. Kelly loves exploring the northern woods and waterways in every season but finds special magic in the snow-covered time of year. Winter camper for over 40 years . Leading Winter camping trips into the BWCA since 1974. Mostly ski-tarp camping until making sil nylon hot tent in 2008. 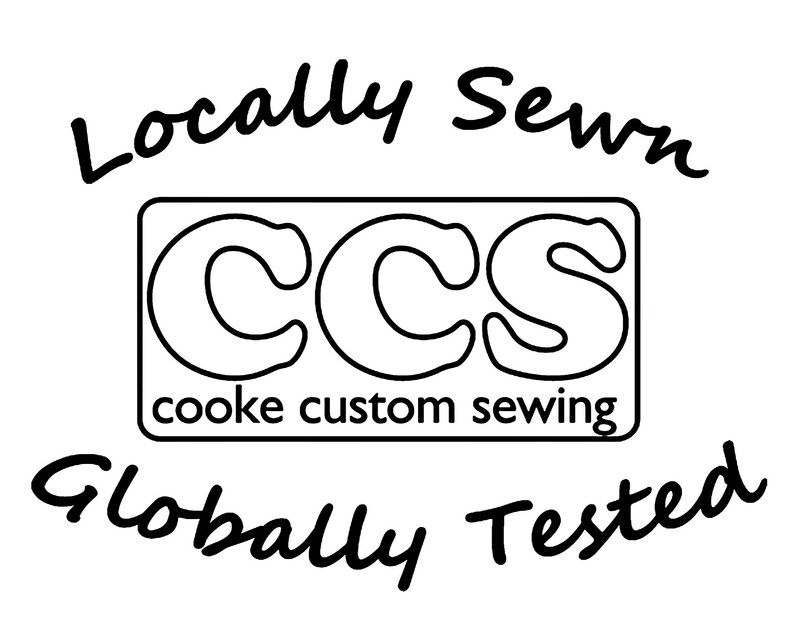 With CCS has over 30 years experience designing and sewing winter camping and mushing clothing and sled bags. Scott loves getting outside--no matter the time of year--to explore, enjoy the wild, and test his outdoor skills. He eagerly works to convince others to join in the fun--in hot or cold weather--as he is thoroughly excited to introduce people to the outdoors and the adventure it holds. No stranger to cold weather camping, Scott earned his first "Zero Hero" more than 25 years ago, sleeping in a quinzhee on a frozen lake. An Eagle Scout, he is currently involved in teaching at the BSA's Winter Camping School and Okpik Cold Weather Leader Program, as well as developing and coordinating other advanced outdoor training programs. Scott is also a Registered Maine Guide, and co-owner of Bull Moose Patrol, an outdoor skills and adventure company. Sarah Flicek has been hammering on silver, showing her work at art festivals around the midwest and instructing metalsmith workshops out of Delano, MN. Introduced to Winter Camping by her handsome, bearded man in wool, Matt Raske, she realized she could work an axe pretty darn good too and skills like sharpening your axe blade go hand in hand with honing jewelry tools! Liz Pawlik is a (mostly) self-taught metalsmith from Duluth. She was reluctantly introduced to hot tenting by her talented seamster husband, Michael, and easily fell in love with both things. She would not be a winter camper or a metalsmith if it weren't for fire. Warren Peterson is from Medford, Wisconsin. He's been making knives since 2001 after getting a knife making book from a friend. His specialty is a Scandinavian-style knife, which is a combination of wood, antler, birchbark, and occasionally mammoth tusk, as well as making all leather sheaths or wood, leather, and antler sheath combinations. Warren will also make knives with all wood or antler handles for a more traditional look. His knives are being used throughout the states, with one even making it to Alaska. Warren is an avid outdoorsman, enjoying camping in all the seasons as well as canoeing, kayaking, cross-country skiing and hunting, fishing, and trapping. Ben Fern is a sophomore nursing student at the College of Saint Scholastica (Duluth, MN); runs track and works with their Outdoor Pursuit program. His interest in climbing was sparked in Boy Scouts. He is a PCIA certified climbing instructor and over the past summer led groups on trips along the North Shore. Kevin is a Penn State graduate, outdoor industry veteran, and lifelong silent sports enthusiast. He cut his teeth working for other companies with the goal of building his own. Now, nestled into a quiet Duluth shop, he draws upon 30 years of experience as designer and athlete, to craft outerwear using traditional textiles that offer timeless performance. 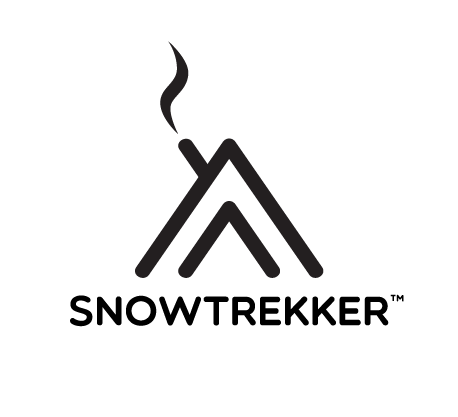 Duane Lottig, an avid winter enthusiast is the owner and founder of Snowtrekker Tents, LLC. He has been designing, manufacturing and selling equipment for the traditional winter camper for over 17 years. His lightweight canvas tents are expedition quality and can be found in use from Alaska to the Arctic regions of Scandinavia and anywhere else it gets cold. Duane continues to create new tent designs and refine his existing ones on a continual basis. 60 years young Duane lives with his wife Margot, his indispensible partner, in Solon Springs, WI. His business started in his garage and continues in his garage to this day. Sydney Tanner and Jim Nosker are Azen Lodge Outfitters. They’re parents of 10 children, have been cooking together, for groups, for decades. They’ve camped from coast to coast, from the rain forests of Central America to the Arctic Circle, in all seasons. They’ve hiked, backpacked, run dog teams, skied, showshoed, canoed, kayaked, hunted, fished and trapped at one time or another throughout their lives and have been long term Boy Scout leaders. At this year’s Winter Camping Symposium they’re offering a class on tent lighting and a class on desserts! Rhonda lives on a tick farm on a lake at the end of the road in da Nort Wuds of Wisconsin. She was the first winner of the "Golden Spatula" award in 2008. She promptly sold the solid gold spatula to "Cash For Gold" and has been living of the proceeds ever since. She has been winter camping for more than 10 years. She hosts the Winter Rendezvous the first weekend in February each year in Northwest Wisconsin. Ryan has been helping to run the symposium for the past six years. He is first and foremost a husband and father, right after those two responsibilities are fulfilled, he can usually be found in a canvas tent staring down the fire in his wood stove. Ryan has been teaching Winter Camping 101 for the last couple of years, each year he brings new experiences to share. If you are new to this sport, this class is for you! Natives of SE Wisconsin, lifelong outdoors enthusiasts, lovers of all things natural. A shared love of cooking regardless of where and how. Bought our first hot tent 5 years ago, were instantly hooked,and now consider winter the best season by far for camping. Engineering Technician in Duluth, MN, introduced himself to winter camping by living in a wall tent for a winter while attending college. He started building his own winter camping gear out of economic necessity and continues to do so for the love of the creative process and the ability customize and innovate. Michael Maruska has been an avid winter camper for 10+ years. He has designed and crafted over 30 'modern traditional' canvas winter hot tents including: micro-yurts, A-Frames, hoop tents, spike tents, and various double wall styles. His latest craze is improving and perfecting his glamping skills with his lovely wife Elizabeth. 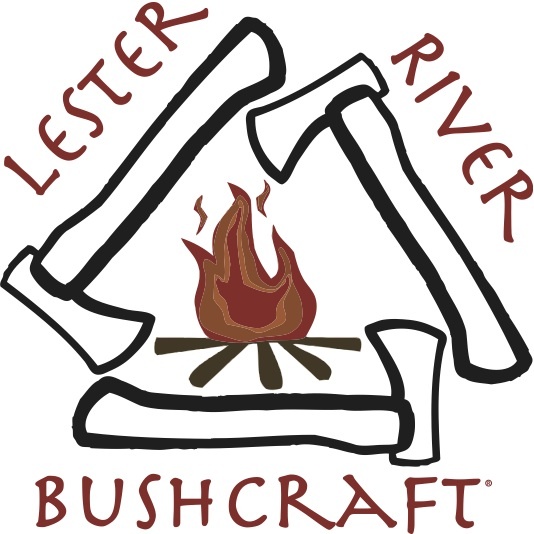 Jason Gustafson is the owner of Lester River Bushcraft He is a knife builder, outdoors man,bushcraft enthusiast and student of survival and self reliance. "I'm a father, adventurer, and craftsman. My hands tell me as much about the world around me as my eyes. From the simple angles of a bevel to the last knot in a cord, I build deliberate gear so you can use it with purpose. So when all of the glitz and technology of the catalog pages fail you in the woods, my tools will be there in your hand. No 12V plugs, microchips, or fancy interlocking pieces- just steel, sharp and solid." Nick grew up with a love for the outdoors reinforced through scouting and summers at the family cabin in northern WI. In college, many of these activities were put on the back burner but that didn’t last long. He started guiding for the university as a TA and realized that his passion for backcountry adventure and education would become a lifelong pursuit. Nick Gordon, NREMT and WEMT, is owner and lead instructor for NOW Outdoors LLC. He teaches more than a dozen wilderness adventure courses for UW-Milwaukee and holds the highest level of wilderness medical training in the state of WI. In addition, Nick is a certified instructor for the SOLO School of Wilderness Medicine. Nick also runs the largest outdoor themed meetup community in Wisconsin and volunteers as the SE Regional Coordinator for the Wisconsin Association for Environmental Education. Ben’s full time job is testing, researching, and selling tools and outdoor goods for life in the north woods. He uses hand tools like axes, hand-saws, and knives daily for fishing, hunting, foraging, self reliance, and primitive bushcraft. Roger Pilsner has been involved in a variety of crafts working with wood, leather, metal, fibers and anything else he can get his hands on, for over 50 years. Everything from blacksmithing and creating functional objects from mild or high carbon steel, brass and aluminum to reshaping salvaged metal into a variety of tools, camping gear and household objects. Owning a bandsaw mill he typically starts with green trees for his woodworking projects, sawing the lumber, kiln drying, machining it to dimensions and eventually creating a finished product is very enjoyable for him. He takes logs to finished goods. According to his wife he has at least two or three or four of every tool known to mankind and then some. He has built cedar strip canoes, houses, chairs, tables, weaving looms, boxes, guns, bowls, spoons and a variety of handmade tools such as bow saws, chisels and hammers utilizing his high end woodworking abilities. There is sawdust running through his veins. David has been involved with outdoor education since last century. Sounds like a very long time, but in reality he has only been working in the field for 20 years. His experience includes camp administration, operating outdoor education programs for K-12, lead instructor for Mammut Bushcraft, and for the past 16 years as Assistant Professor of Outward Pursuits at Burman University in Lacombe, AB. ​ In addition to formal education that added some letters after his name, David maintains active qualifications in wilderness medicine, is a Canoe & Kayak instructor through Paddle Canada, and facilitates programs for Outdoor Council Canada. But the certificate that he appreciates the most was recognition by Mors Kochanski as a Survival & Wilderness Living Skills Instructor. Brian is a Bushcraft Instructor, seasonal Conservation Officer for Alberta Parks and retired member of the Canadian Armed Forces, with 25 years of service. He grew up surrounded by the Canadian Shield, and the hardwood forests of Southeastern Ontario, where the seed was planted for his love of the Great Outdoors. Garrett Conover is best known for his years as co–proprietor of North Woods Ways, the classically resonant traditional canoe and snowshoe guiding service leading wilderness trips in Maine, Quebec, and Labrador. In 2008 he started work as one of the Assistant Managers of Borestone Mountain Audubon Sanctuary. Garrett is author of Beyond the Paddle. His most recent book, Kristin’s Wilderness, has won four awards. The Snow Walker’s Companion was co–authored with Alexandra Conover, and is now in its third printing. Garrett Conover standing in the snowGarrett lives along the Big Wilson Stream in Maine, a scant few miles and in the same watershed as Borestone Mountain. In addition to co–leading special trips with Alexandra, writing and photography are continuing interests, and Garrett remains in demand as a presenter of North Woods Skills Workshops and Adventure Travel Slideshows where the narration weaves a bit of history, how–to, natural history, and the intrigue of glorious trails. Terry Barney has taught survival skills to hundreds of military personnel and civilians all over the country. He cut his teeth in the Boundary Waters and Quetico Canoe areas, taking crews deep into the woods and covering over 1,500 miles with pack and paddle, training with Mors Kochanski and Tom Lutyens, and became a Winter Camping Instructor for the BSA. Barney joined the U.S. Air Force and passed the rigorous training necessary to become a Survival Instructor (now referred to as SERE Specialist). It was in the military where Barney honed his bushcraft skill set, learning how to survive in different environments, to evade capture, resist enemy interrogations, and escape captivity. Barney currently works full time as a Captain with the Omaha Fire Department. In 2010, Barney opened the Midwest School of Bushcraft. His YouTube channel “IA Woodsman” has over 20,000 subscribers. Terry is an indispensable part of 88 Tactical’s instructor cadre. English teacher at Virginia High School in Virginia, Minnesota I have always had a deep love for nature and the outdoors. I have walked on winter traplines. I fish, hunt, hike and snowshoe. The sight, sound and smell of a wood fire is one of my favorite things. Add a book and a cup of tea to that and I am in ecstasy. I really like hot tenting. I hope to do more winter camping in the future. Outdoor enthusiast with a passion for eating well on the trail no matter the season. Believes food brings another level of enjoyment to outdoor adventures and camaraderie. Enjoys cooking for others and making food a memorable part of every trip. Veteran solo winter camper with over 30 yrs of experience testing and developing equipment, author of articles on winter camping and survival, owner of more winter camping equipment then anyone should have. Sam Larson is a wilderness skills instructor and author from Nebraska. As a young man Sam travelled throughout North America, living out of a backpack while exploring wilderness areas and learning from seasoned instructors. He is best known for his time on HISTORY's hit survival series ALONE. During the show Sam lived completely alone for a total of 115 days in British Columbia, and Mongolia, with just 10 survival items. As an instructor Sam is dedicated to sharing his skills with beginners and spreading survival skills throughout the world. He is the founder of Woodsong, a wilderness education company. He spends all of his spare time with his wife, and kids. Luke Soderling is a experienced public speaker, with a dynamic and engaging method of connecting with his audience. As a master plumber, he has spent nearly 20 years selling service to clients. He has studied sales and interpersonal communications which have been vital in being able to connect and motivate his audience. In 2017 Luke was selected as a survivalist on the Discovery Channel's new show, "The Wheel". Luke survived in 6 places in South America over 60 days alone. With ingenuity, hard work and determination he excelled in the wild, building complex shelters with the materials available, catching 142 fish and killing a caiman with a machete. His drive and determination in wilderness survival is only overshadowed by the grit and determination he showed as he beat stage 3 thyroid cancer in 2013. WCS Board Member/Organizer I am the father of two fine boys. I love to teach them whatever I can about camping in all four seasons, winter has the most to teach. I work in IT, so getting outside and away from tech is a very good way to keep me sane! Deb is the founder of Painter Creek Soap Company. She has been making soap for over a decade! Bachelor of Science in Secondary Education from the University of Minnesota; Theatre Arts major/English minor. Married since ’77 – yes, to the same man – Dean Barrett. We have two grown children, a daughter and a son. Career path history: Director – high school, community college, and community theatre, Costume Designer – Mpls/St. Paul and greater MN, On-Camera and Voice-Over Artist for television/radio/training/marketing industry based in Mpls/St. Paul but reaching around the country, Owner/CEO/Agent NUTS, ltd. (Non-Union Talent Service, Limited) in Minneapolis with clients across the US and internationally. In 2012, I sold my talent agency and left the industry to pursue (as a business) my avocation and passion: sharing the wilderness experience with others through guiding and teaching in the great outdoors! And in case you’re wondering how the heck to pronounce my name, it’s PAY-tah…long ‘a’ where you see the ‘e’. Happy trails! Brian is the owner of Sagewood Gear, a small leather business located in Duluth that specializes in Knife Sheaths and other specialized Adventure Equipment. His product designs are founded on a function first mentality, and are a blend of the hard wearing, durable nature of leather and the functionality and precision of modern materials. He is inspired by the famous explorers of the past, and takes a great interest in the philosophy of Adventure and the history of Exploration. Most often you will find him off-trail exploring lesser known areas and searching for spots of historical significance. He is always a student, and continually seeks to expand many skillsets such as Land Navigation, and HAM Radio. Don is the proprietor and owner of the Four Dog Stove Company. He has been designing and building portable wood stoves for the past 23 years. From a 2¼oz titanium back-packing stove to a large steel stoves that can heat a 14’ x 20’ wall tent at -30 below. He is known as the leading innovator in trail stove design and construction. All stoves are hand crafted with his wife, Roxanne on their back 40 acre Minnesota-based workshop/farm, where they enjoy family, friends, raising a large garden, chickens and working their mules. Don’s passion for creating time tested and proven items for use in the harshest wilderness conditions is evident by the testimonials of hunters, trappers, outfitters, guides and adventures throughout the globe. "The more you know, the less you carry" -Mors kochanski. These words really resonate for me in today's gear crazy outdoor world. It was this gear heavy, low knowledge approach that got me into big trouble in my early 20's. Lost and stranded, with gear but no real skills, I made a promise to myself to learn all I could about this beautiful place in which I'd found myself feeling so helpless. Luckily I made it out, but we will have to cover the rest of that story another time. Determined to fill the void, I chased down books on camping, plants, and survival skills. At every opportunity I practiced what I'd been reading. Unfortunately, there was a lot of frustration to be found in attempting to master such a vast subject in this way. After years of trial and error I was gifted with an unforgettable experience; I was enrolled in a 7 day winter survival course with Mors Kochanski, a legendary wilderness living and survival instructor. Teaching alongside Mors was master instructor Kelly Harlton. Telling outdoor stories comes naturally to Bill Sherck. Television viewers know him better as “The Man About The Woods”; A six-time Emmy Award-winning outdoor reporter and show host. Bill’s earned just about every award in the business for his unique style of storytelling. Viewers can catch Bill’s work on several of the country’s most popular outdoors television programs including, “The Flush” on Outdoor Channel, “Due North Outdoors”, “Rooster Tales” and “Backroads” on Fox Sports Networks and “Minnesota Bound”, seen on NBC affiliates throughout Minnesota. Chris Evavold has been making tools and equipment since his start carving cedar canoe paddles back in the mid 80’s. Dogsleds and hand-hauling toboggans are the most widely used of his creations. His sleds have been used all over North America in events like the Iditarod and UP200 as well as sledding loads on caribou hunts in Alaska or Lake Trout trips into the BWCA. “There is nothing more satisfying than making something that has a practical use and is appreciated.” Chris and his wife Ingrid live with their three kids on the Black River (northwest Wisconsin) within earshot of Big Manitou Falls and the coal and taconite train whistles in the river valley. We have made our home at Camp Miller. It is a beautiful setting on Stugeon Lake which provides lots of camping options as well as cabin stays. Great classrooms and a perfect atmosphere for learning! A huge thank you to all those who support the love of winter camping! Bent Paddle Brewing Co.® is a 30-barrel production craft brewery and taproom located in the beautiful Great Lakes port town of Duluth, Minnesota. The brewers of Bent Paddle Brewing Co.® use the amazing water of Lake Superior to brew the freshest and most dependable craft beer possible. Traditional Textiles. Timeless Performance. Crafted in Minnesota. Traditional winter travel, crafts and skills. We value energy in all forms, so we've decided to start broadening our vision. The efficiency and versatility of LED lighting led us to launch a new kind of product: The Luminoodle. With the support of 6,768 Kickstarter backers, we turned the idea of a flexible, waterproof, USB-powered LED strip into a reality. Those backers asked for colors, an on/off switch, a dimmer, and longer versions of the Luminoodle, so we created the Luminoodle Color and the extra-long Luminoodle Basecamp. Our mission is to provide quality goods with excellent customer service. We are a small family business raising kids and enjoying the outdoors. We field test and use what we sell and your purchases support our backwoods lifestyle. We believe that our lifestyle and experience in the outdoors gives us an advantage over other "sales people". This advantage lets us wisely choose time tested proven products for your outdoor adventures! Snowtrekker® Tents maintains a strict, sustained commitment to provide only gear of the highest quality and durability to withstand the most demanding winter environments in which it is designed to perform, safely and reliably. This is our mission. And yes, we proudly build our tents in the USA. We build gear with the very best in design, materials, construction and ultimate function. SKI PULKS-sleds that are towed behind winter travelers with rigid pole systems. We’re really proud to bring you the best pulk systems, built to accompany all of your winter adventures. Canoe Packs, Camping Gear, Dog Sledding gear. 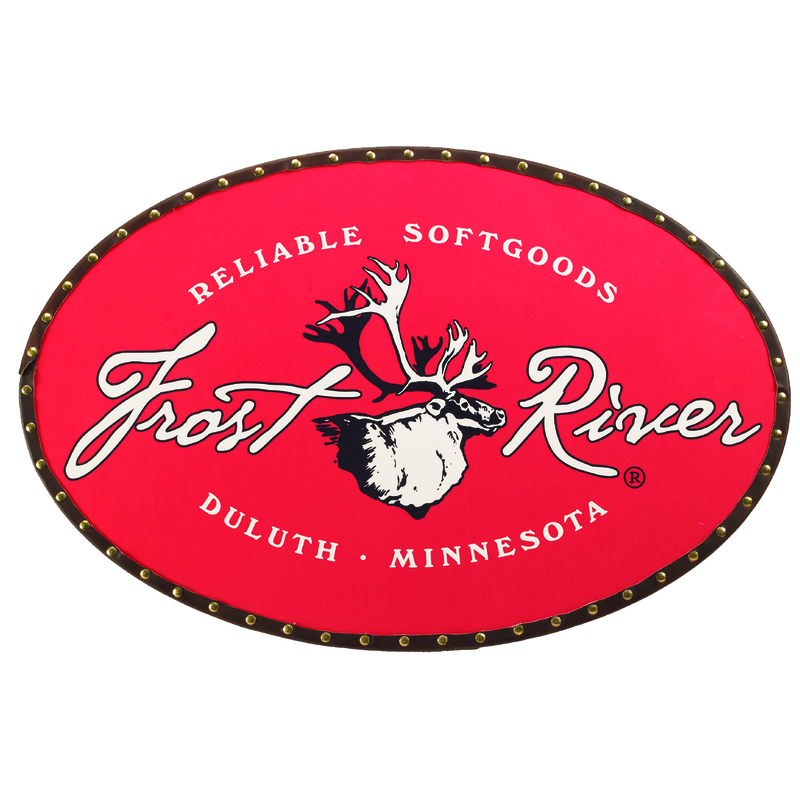 All hand-made in Ely, MN, on the edge of the Boundary Waters Canoe Area Wilderness, built to last for years. We are a husband and wife team that has been actively designing and sewing for the outdoor industry since 1980. Our designs have been birthed out of our own hands-on back country experience combined with Dan's background in engineering. We were the first to commercially produce canoe covers designed for the canoe tripper as well as many specialized innovations for the outdoor enthusiast. We pride ourselves in providing customized service to meet the exact specifications and requirements of our valued customers. To meet him was to never forget him. George “Stormy” Kromer was genuine, and that spirit reached every corner of a company he never planned to start in the first place. He simply wanted a piece of headgear that worked as hard as he did. One cap led to a thousand and then many millions, but a century later we’re still making products as authentically as the first one—from materials to methods. You can’t pretend to be a legend. It’s something you earn from your customers, your commitments, and always carrying through. Sagewood Gear builds rugged, adaptable outdoor equipment that has been meticulously designed, and expertly crafted to outfit those of us with the adventurous spirit. We are those individuals who look for the blank spots on the map, take the trails less traveled, and explore the far reaches of our world. It is through this unrelenting exploration that we discover and define who we truly are. What we once feared we now embrace, what were once dreams are now incredible stories, and what was once our imagination is now our reality. Grab your gear, plot your course, and get moving. ArgoNorth is the premier developer of high-quality, custom flashlights and headlamps for established brands. The foremost authority in winter trekking. Learn, discuss and connect with like minded trekkers. Our mission is to build community by providing learning experiences that celebrate the wilderness heritage, art, history, culture, and craft of the people of northern Minnesota. At Bull Moose Patrol, we believe every outdoor excursion—no matter how big or small—offers adventure, excitement, and the chance to enjoy and learn about the world around us. We're sharing our adventures (and misadventures) and knowledge to help you get excited about the outdoors—whether you're a tenderfoot or an experienced guide—and create an outdoor adventure you'll love. Walk along the trail with us and take a new look at the outdoors. We offer classes and presentations--both in person and online—on wilderness and camping skills, survival skills, as well as custom-guided canoeing and camping trips.